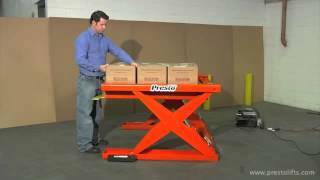 About Presto ECOA Lifts, Inc.
Presto ECOA is a leading manufacturer of lifting, tilting, stacking and pallet positioning equipment. 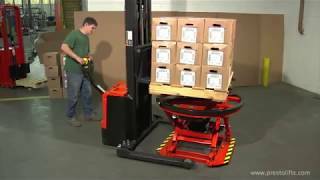 Our products increase productivity and improve worker safety. 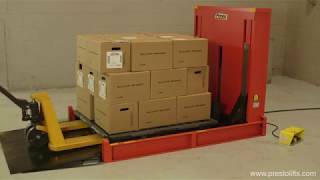 We have been providing ergonomic solutions throughout North America for over 74 years. Our success is built on providing quality products, knowledgeable sales support and exceptional value. 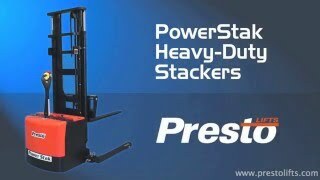 Presto ECOA’s line of material handling equipment includes: Hydraulic and Pneumatic lift tables, Stackers (straddle, counterweight and full powered driven), Container Tilters, Manual Palletizers, Work Positioners, Portable Scissor lifts, High-lift Pallet Trucks and Standard Pallet Trucks. 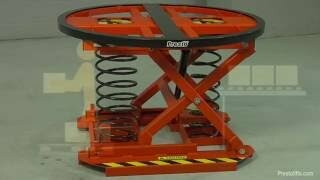 Many products are available and in stock for immediate delivery!